What is the Best Method of Stump Removal In Brisbane. There are a number of methods for removing tree stumps and root systems from your Brisbane backyard. Tree stumps and root systems from felled trees can interfere with the laying of foundations and other building projects, and will prohibit anything like a pool from being installed. An amateur do-it-yourself handy person may try to remove the stump, and this may have results varying from extremely dangerous and costly to mediocre. If a stump or root system is not removed correctly, and a building surveyor comes to see the preparation of a building site for either a renovation, foundations, pool or any other kind of construction work, and see that stumps are still in the ground, or that roots have not been completely removed, the surveyor will not give permission for the construction works to commence. ● Manual removal – a very labour intensive way to remove a tree stump is to manually remove it. This involves getting at the tree stump with a chainsaw, an axe and pick. It involves breaking up the stump, and the roots, and then removing this bit by bit as the trunk and root system are cut up and destroyed. This takes a considerable of time and labour. ● Burning the tree stump out with fire – this is both a dangerous and risky method of removing a tree stump – holes are drilled into the stump, and oil or kerosene or other burning fuel poured into the holes, and then the fuel lit on fire. This will cause the stump to burn and smoulder for days, and then eventually it can be broken up with an axe and removed. This is dangerous however, and has a risk of severe burns, particularly if children and pets are around. ● Stump grinding machine – hiring a stump grinding machine can be dangerous and risky for amateurs – as it is a very large and cumbersome machine, and incorrect operation could cause serious injury. It is however an incredibly effective and permanent way of removing stumps. A stump grinding contractor can be hired who provides his or her own equipment, is fully insured and will operate the equipment safely, and remove all mulch and equipment off site, leaving you with a cleared site ready for construction or landscaping. grinding contractor. A stump grinding contractor is both safe and cost effective and will remove all stumps so that you can get on with your project. 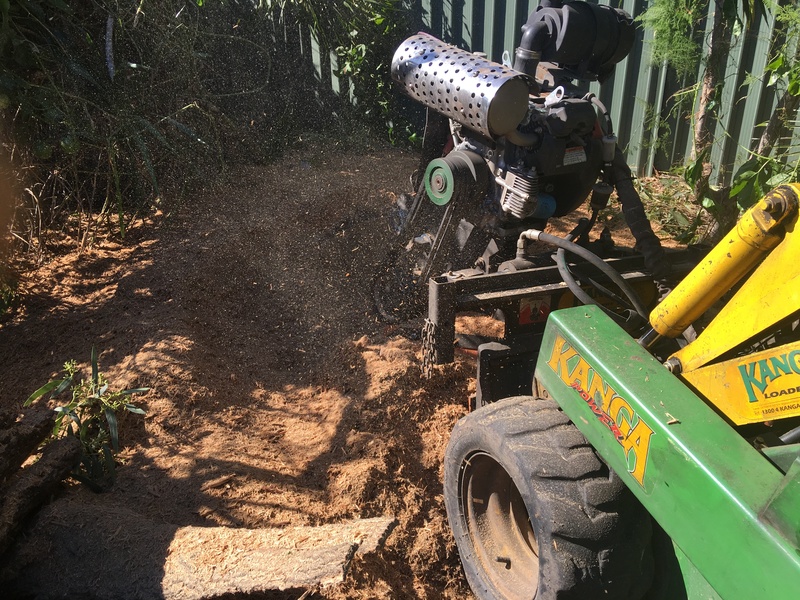 What is the process of Stump Grinding Brisbane.